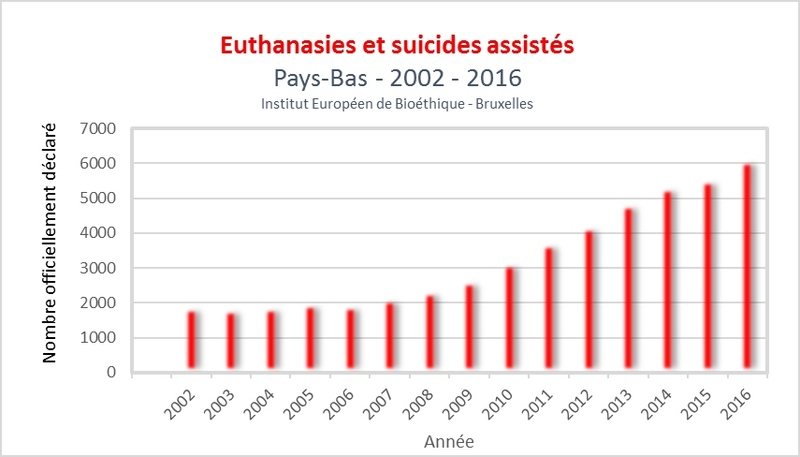 The DutchNL news is reporting that the regional euthanasia review committee's annual report was released indicating that 6585 assisted deaths were reported in 2017, increasing by 8% from 6091 reported assisted deaths in 2016. Psychiatrists comment on euthanasia for psychiatric reasons in the Netherlands. Netherlands euthanasia experts advocate for child euthanasia, with or without consent. New study casts doubt on effectiveness of euthanasia regulation in the Netherlands. Double euthanasia in the Netherlands. 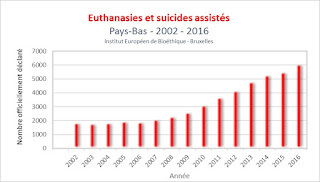 Netherlands 5 year study shows significant increases in assisted deaths and continued abuse of the law. Netherlands study. 431 people were killed without explicit request in 2015.